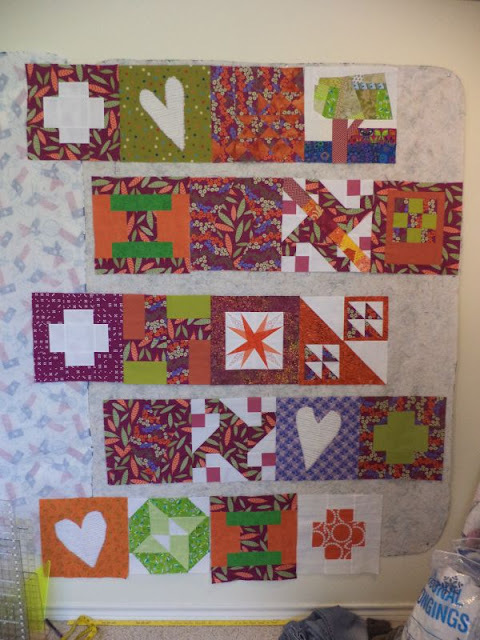 There's another Covered in Love quilt in progress. 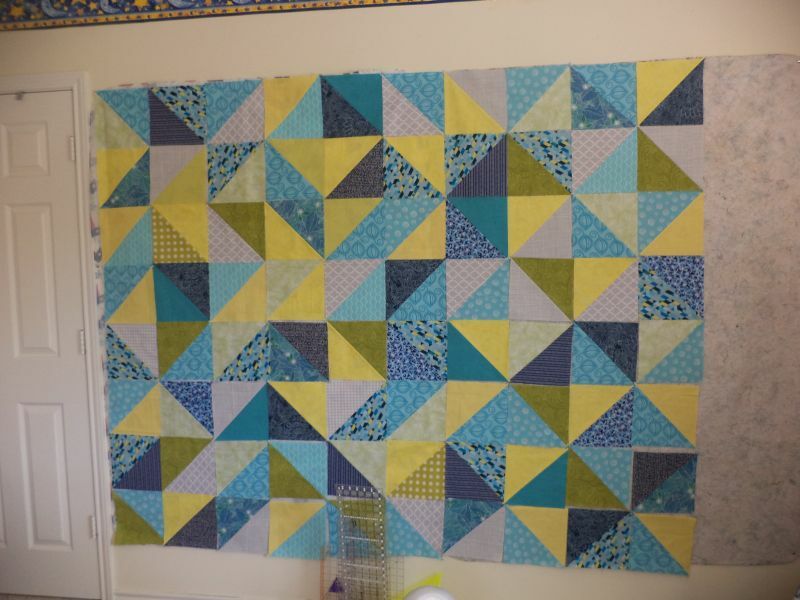 This one is made from a bunch of donated blocks the Tyler Modern ladies made for a fabric challenge. Despite making some lovely blocks they all disliked the purple/orange/green combo and were eager to get rid of their blocks. Mores the benefit for me! I also just pulled some fabrics... 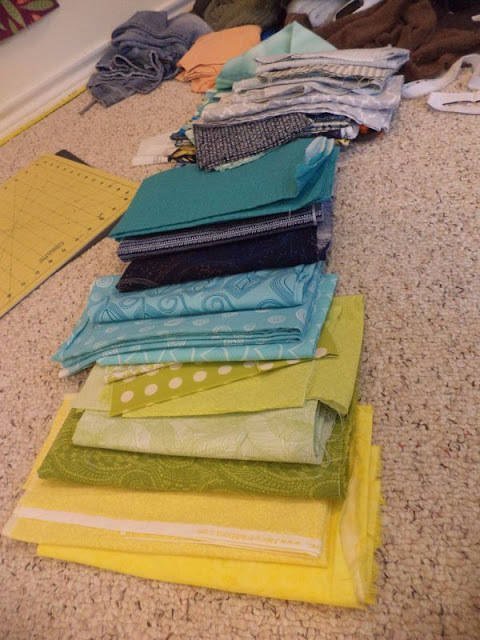 If I could some how turn these into a finished quilt by Friday night that would be awesome. It's possible, but not likely. We'll see. Edit: Wednesday morning update. 100 blocks are made and pressed. Auditioning layout options. I like those sweet heart blocks and looks like you're well on track for a friday finish! Lovin' the colours in the blue/yellow quilt! Very Monet! Looking forward to seeing it when it's quilted! I did laugh when I read this post, that was a good challenge! Look forward to seeing just how you put those blocks together! I like the scattered values HST, good luck with getting finished in time! OMG 100 blocks?! Love the colours, reminds me of my quilt I did with Zen Chic Spheres fabric. You're making those ugly blocks shine there! Great colors in your fabric pull - hope you are heading toward a finish today!